The legendary musician and cultural icon Prince (born Prince Rogers Nelson) was found dead today at his Minnesota estate, Paisley Park. He was 57. 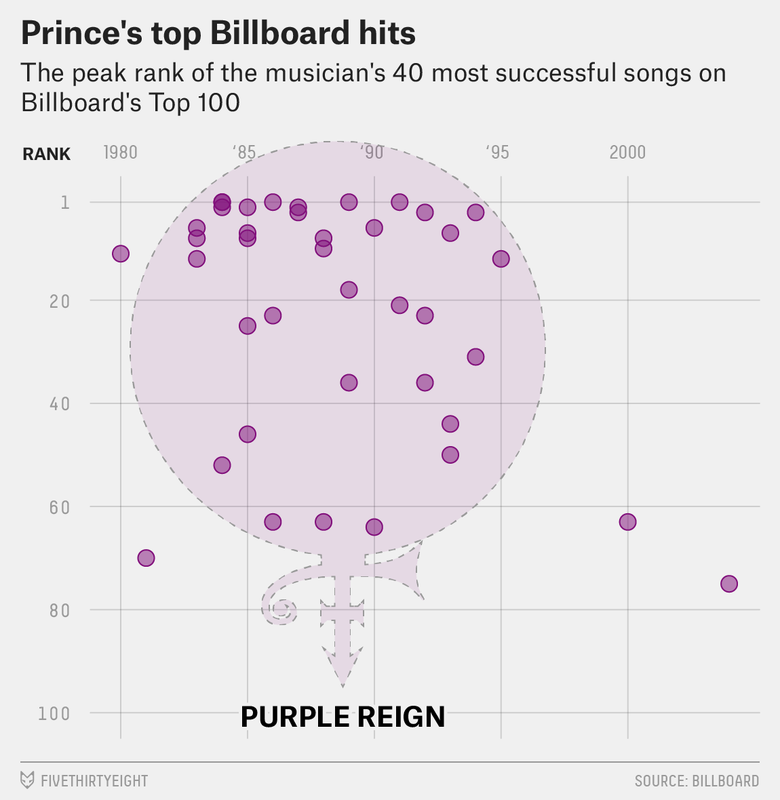 While Prince’s legacy will endure, from the early 1980s to the mid-’90s, he truly reigned supreme. Needless to say, the FiveThirtyEight newsroom, along with everyone else, is pretty bummed about this. He didn’t have to be cool to rule our world, but he was, and he did.